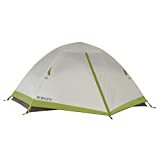 The Kelty Company is a widely-recognized manufacturer of camping accessories such as sleeping bags, tents and backpacks. Based in Boulder, Colorado, in the United States, the company has managed to offer high-quality products in and out of the United States. This company has further managed to produce lightweight and durable backpacking tents, roomy and easy-to-assemble family camping tents and a variety of sun shelters which can be used on the beach, a base camp or the backyard. To ensure that you get one of the best Kelty tents for personal or family use in 2019, this article will tackle some of the best tents in the market which are not only cheap but also come with enough high-end features to take your camping experience to a whole new level. The Acadia 4-Person Tent is a large and roomy family tent which has wide doors and a lot of interior space to accommodate your bags and other indoor accessories. 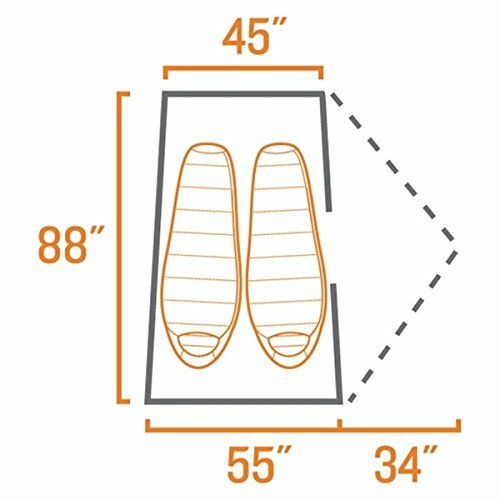 With a minimum weight of 10 pounds and dimensions of 98(L)×87(W)×59(H), this tent is convenient and comfortable and is a major rival to any tent you’ll find in a campground. Among the selling features which are available with the Acadia 4-Person Tent are a 3-pole design for easy setup, polyester mesh, mesh wall panels for easy visibility and credible ventilation and the ability to accommodate 3-4 people effortlessly. 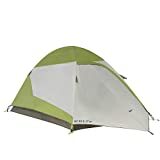 This tent is very easy and fast to set up even by a single person. The poles, clips and vestibules are all designed to work well, giving you the desired results. The Acadia 4-Person Tent has been the leading tent in most people’s comments due to its affordable price and credible features. The superior airflow vents and waterproof tent floor have been the major selling points of this tent. With a 4.3 star rating from 53 verified customers, camping enthusiasts should opt for this unit to suit their family needs. Also see these family tent options. Designed to offer outstanding comfort for a period of three seasons, the Salida 2-Tent is a great all-round ultra-light backpacking tent which is the 2011 Editor’s Choice award winner. This tent has a spacious interior, a light weight of 3 pounds and dimensions of 55×43×88 inches. With the ability to accommodate 2 people, this tent comes with high-end features which include a 2-pole design for easy setup, one large-sized door and one vestibule and an average of 10 sq feet of vestibule space to increase stability. The Salida 2-Tent is very easy to assemble and break out and has sleek dimensions which make it very easy to store when traveling. Overall, the Salida 2-Tent can be compared to none other when it comes to rigidity and stability. Most customers have praised its compact size, sleek design and lightweight features, stating that it’s very easy to assemble, break down and carry even single-handedly. The price of this tent is another selling point since it’s affordable at a very cheap price, making it a major competitor in the arena. The Grand Mesa 2-Tent is another feature-rich backpacking tent which is available on the market at an affordable price. This tent is able to offer maximum comfort and service for three seasons without experiencing any leakages or discomforts. This tent has a large door, one vestibule and two poles, making it ideal for two people. 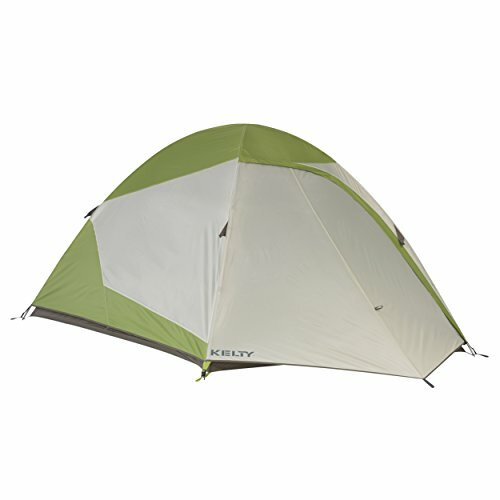 It features a free-standing design which makes it easy to move around a campsite, aluminum standing poles which increase stability and rigidity, color-coded clips which eliminate the hassles of feeding the poles into the wrong sleeves and a solid construction which enables the tent to withstand harsh weather conditions. 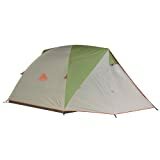 The Grand Mesa 2-Tent has a weight of 4 pounds and dimensions of 57×43×85 inches. The overall performance of the Grand Mesa 2-Tent is outstanding. There are lots of features which users are expected to enjoy, as well as a pocket-friendly price which makes it affordable to most users. This tent has been welcomed in the market with a 4.7 star rating from 34 verified customers, making it one of the best backyard, beach and camping tents on the market. After reviewing three of the best Kelty tents, the Acadia 4-Person Tent is the best in the category. This tent is large enough to accommodate 4 people comfortably. It’s easy to set up and comes with two large doors and windows which allow fresh air to get through while keeping bugs from entering the tent. Second in this category, we have the Salida 2-Tent which is lightweight and capable of holding 2 people. The tent has a specious interior, one large door and is made from a polyester material which is waterproof and light. This tent is available in lots of stores at an affordable price. Last in the list, we have the Grand Mesa 2-Tent which is another feature-rich backpacking tent available at a very cheap price. This tent has a large door, one vestibule and two poles, making it ideal for two people. It has a solid construction which enables the tent to withstand harsh weather conditions and a waterproof polyester material which doesn’t allow rainwater to pass through. Still, our pick of the bunch suitable for most people is the Acadia 4-Person Tent.